This was actually a bit harder to construct . 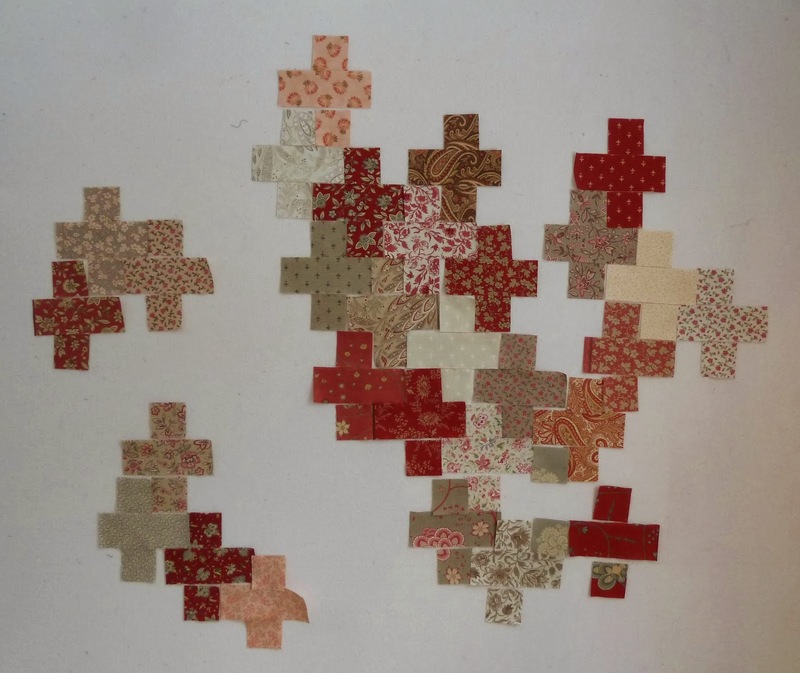 The "easy" approach is just to make 2 1/2" blocks with the background fabric and sew everything together that way. I didn't want to do that so there was math involved to calculate the size of the background pieces. It worked out pretty well and I only had to do one partial seam to get it all together. As promised, the rest is up for grabs. Get your French General fix here... 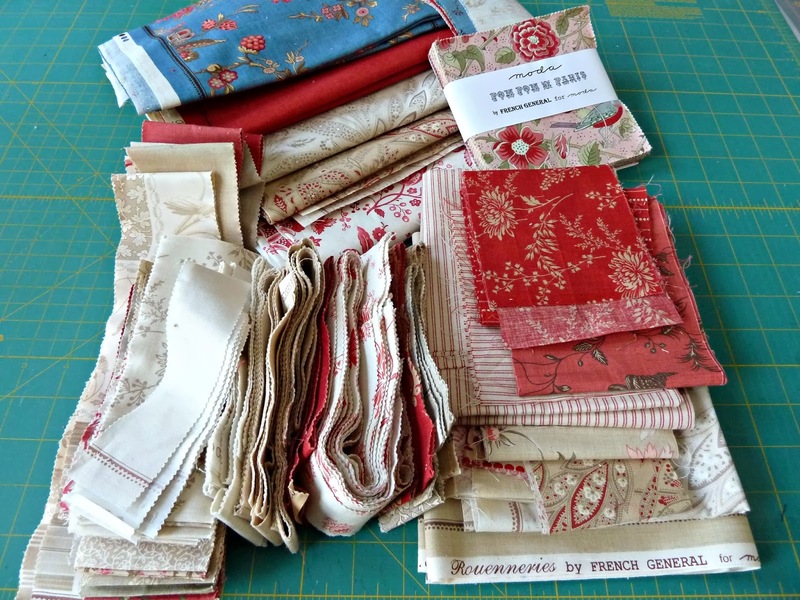 There's about 5 yards yardage plus scraps, leftover jellyroll and honeybun strips and more. Leave me a comment on this post by midnight Sunday, February 16th and I'll pick a winner on Monday. the negative space is great! Love the asymmetrical aspect of this quilt. Much more interesting than just straight pluses. I' love to win your leftovers. 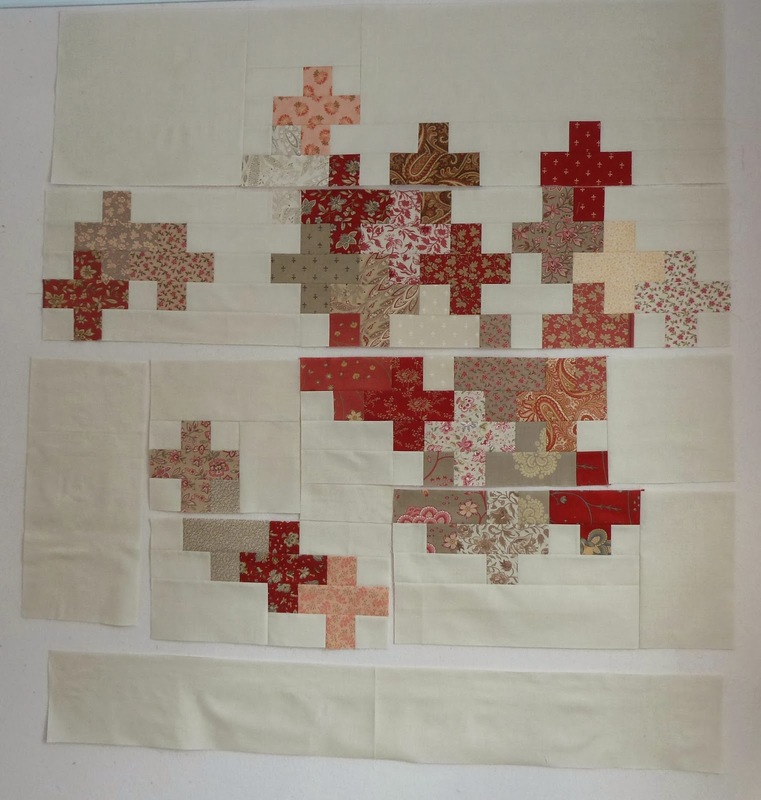 I'm planning a quilt as a present and want to do it in reds and neutrals. The quilt looks great! I would have done the same. I will take doing some math over adding more seams to my quilt ;). Wowza, I love French General. I also love how you added more negative space to this quilt. Great solution! Love the plusses with all the negative space! And thank you for sharing your "leftovers!" 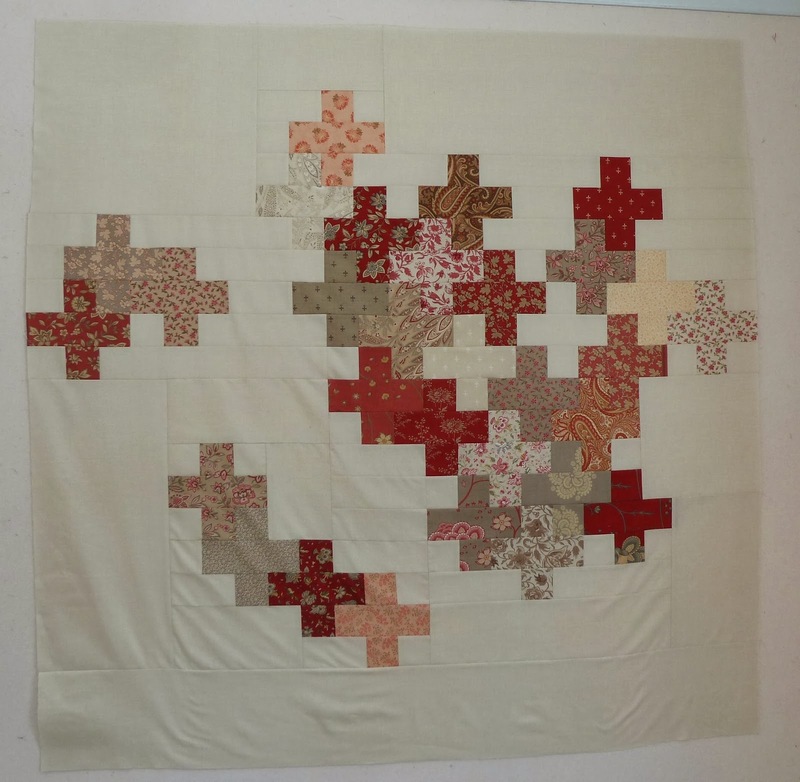 I like that this quilt has uneven empty spaces; it keeps you looking at it! Put my name in for leftovers, please. Ohhh, I like this one. I also like partial seams, so I don't really understand any aversion to them, but as you know, I'm weird. :D I'd love to take leftovers off your hands! I find this arrangement of squares and rectangles into pluses always gives an stunning block. You've used some fabulous fabrics to. this one is super stunning. Thanks for sharing your leftovers. What a cute way to use up your extra blocks! Love Rouennerise, thanks for sharing.